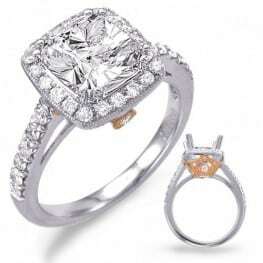 Engagement ring, 14 karat white gold, containing 36 round brilliant cut diamonds weighing .66 carat, SI-1 clarity, G color. 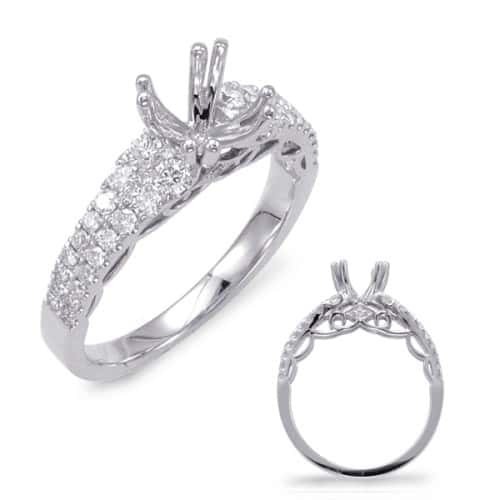 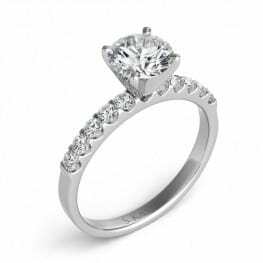 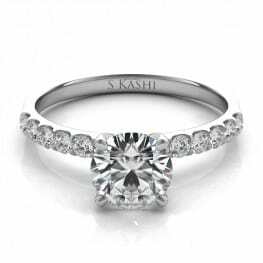 Engagement ring has four double prong setting that will accept a Round, Princess, Asscher, or Cushion shaped diamond. 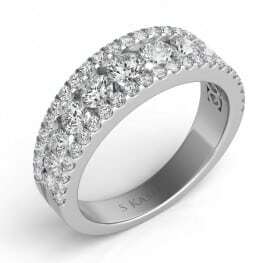 Note: Ring can also be made in yellow gold, rose gold or platinum.